For many homeowners, the garden shed is a necessary eyesore in a well-maintained yard. For years, sheds have been purely functional spaces for storing tools and equipment, but that’s beginning to change. Recently, we’ve seen a trend towards stylish sheds that serve more elegant purposes. Since the tiny house hit the scene, more people are thinking outside of the box about the possibilities of small spaces. Homeowners no longer view garden sheds as a drab, utilitarian place to store tools, but as a detached extra room with dozens of possible uses. 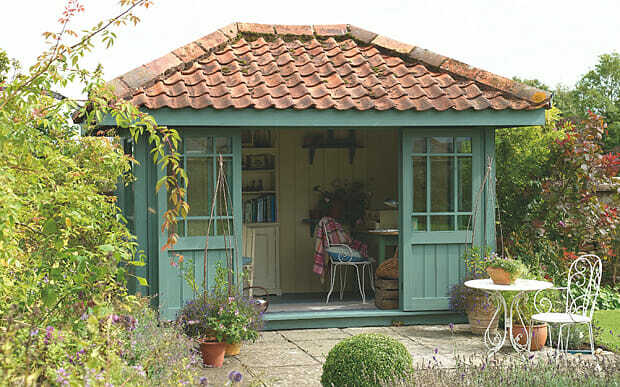 Check out these great ideas for how to make the most of your shed space. For many of us, pursuing artistic projects requires us to clear out and take over some other space in our home. The mess and inconvenience of pulling out supplies that must be put away to make the space functional again is enough to keep you from starting a project at all. 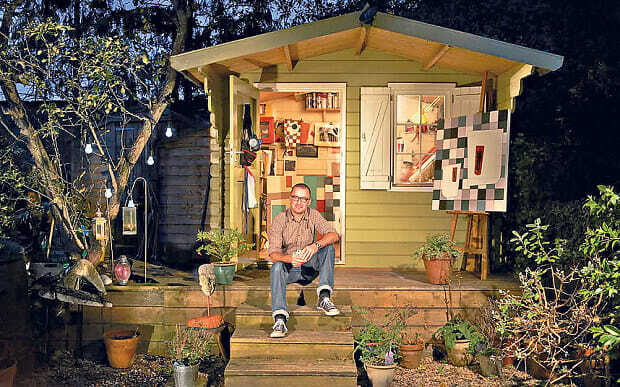 Transforming your shed into an art studio will bring out your inner artist in a quiet space where creativity can flourish without getting in the way of your ordinary life. Large windows such as bay windows let in plenty of natural light as the sights and sounds of the garden feed your imagination. Anyone who works from home can attest that balancing your work life and your home life gets trickier when your house and your office are the same place. Using your shed as an office space helps to create the mental distance needed to keep work and home separate. Even if you have a home office, being one closed door away from your family or other household responsibilities can be distracting. 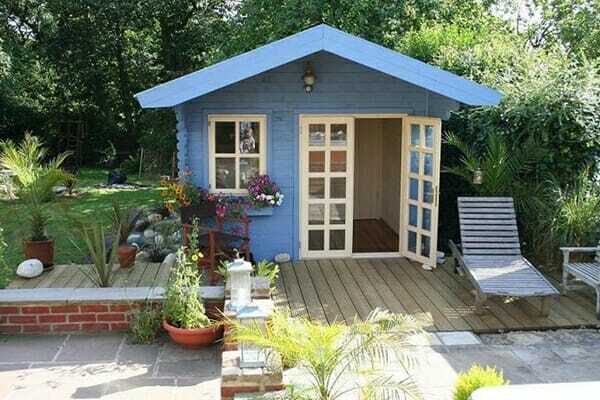 The shed/office combo is the perfect way to work from home without the distractions. If Steve Jobs could start Apple in his garage, then who says you can’t run a business out of a shed? If you’d love to capture the charm of a breezy island beach in your own backyard, then consider a cabana-style shed. Cabanas are especially great for houses with swimming pools, but even without a pool, a cabana is the perfect place to host summer BBQs or New Year’s Eve parties. Nothing takes over a space like toys. Some houses have playrooms equipped to contain the chaos, but if you don’t have space for an indoor playroom, a playhouse in the shed is a wonderful option. A playhouse gives kids the freedom to explore and use their imaginations, combining indoor and outdoor play while leaving the main house quieter and cleaner. 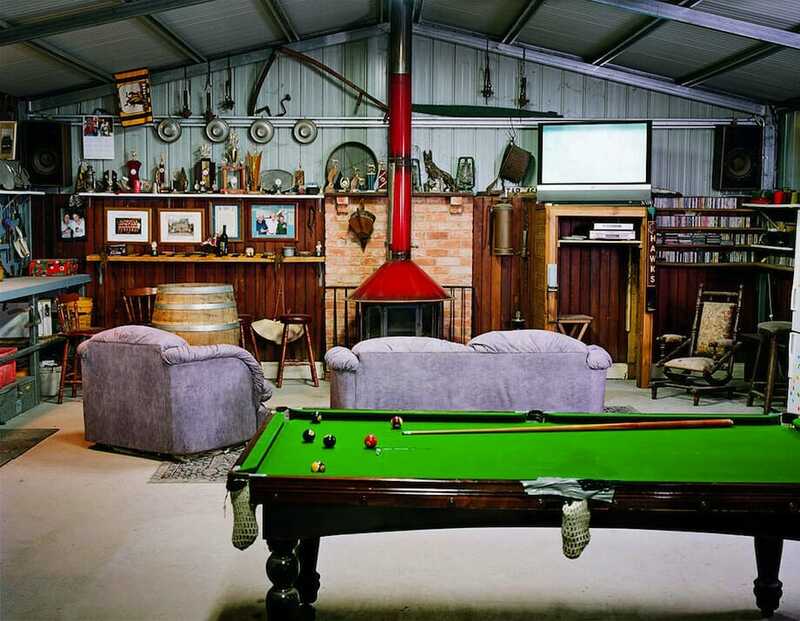 As the name suggests, the man cave is a space dedicated to those manly pursuits that are often banned from the rest of the house. If you and your partner are constantly bickering over that beat up recliner, the golf clubs in the hall closet, or where to display the sports memorabilia, then using your shed as a man-cave is the perfect solution. The beauty of this arrangement is that you can get those conflict-causing items out of the house, but keep them in a place where they will be enjoyed and appreciated. It’s a win-win situation. Developed in response to the man cave, the she-shed is just what it sounds like – a private space for the woman of the house to get away from the demands of chores and kids and work and just relax. The she-shed can house anything from a beauty room, with nail polish and face masks for an afternoon of pampering, to sewing or craft supplies so you can DIY to your heart’s content. 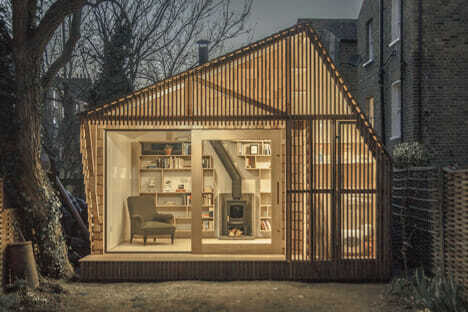 The shed/library is an homage to the longstanding tradition of the printed word. With more people reading electronically, the backyard library is a haven, not only for quiet reading and reflection, but for the books themselves. Line the walls with bookshelves, add a cozy chair and a lamp, and you’ve got the perfect book lover’s escape. While many of these ideas require things like electricity and insulation, they are far less time and cost intensive than an addition to your home or a remodel would be. There are many options for pre-fab sheds with an aesthetic to match your home and suit your intended purpose. These are only a few of the dozens of creative ways to upgrade your shed space. No matter what unique use you might find for your shed, one thing is certain –you’ll never think of it as just a place for garden tools again.